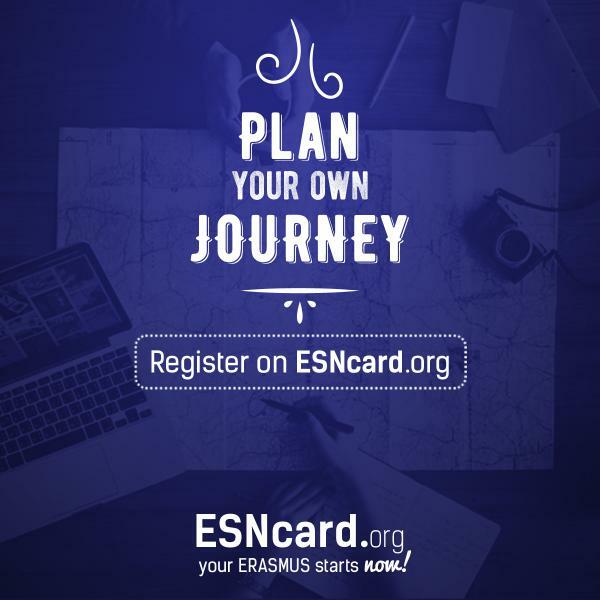 The ESNcard is the membership card of ESN which means that you can access to all the services offered by the ESN and our partners. Once you register it here you can use it to get discounts nationally and internationally. 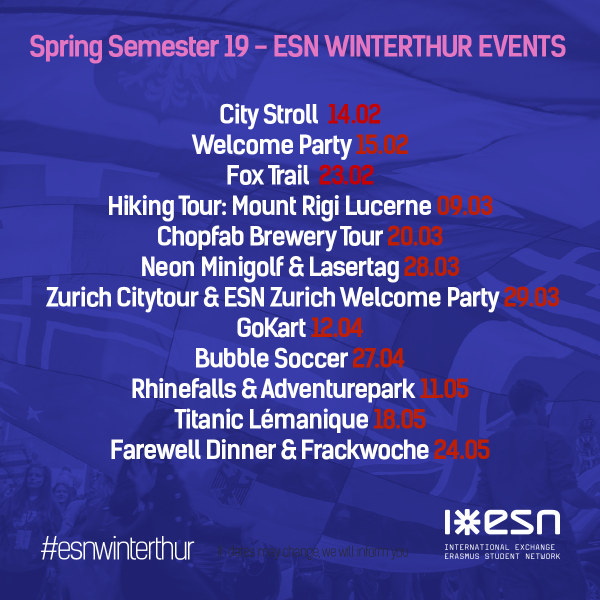 Welcome to ESN Winterthur - We are here to make your time in Winterthur fun and help you to find yourself around in Switzerland. Check out upcomings Events. It is the official site to register to them. Also check out our Social Media Sites to stay in touch! You already have been on an Exchange and miss it? Your chance to help now other Exchange Students and live the Erasmus time encore! and enjoy discounts all over Europe! Facebookpage for all our events is here.